IMPORTANT UPDATE: As of 17/09/2014, the magazine is sold out. You can still get it from other sources. Read this post for more information. 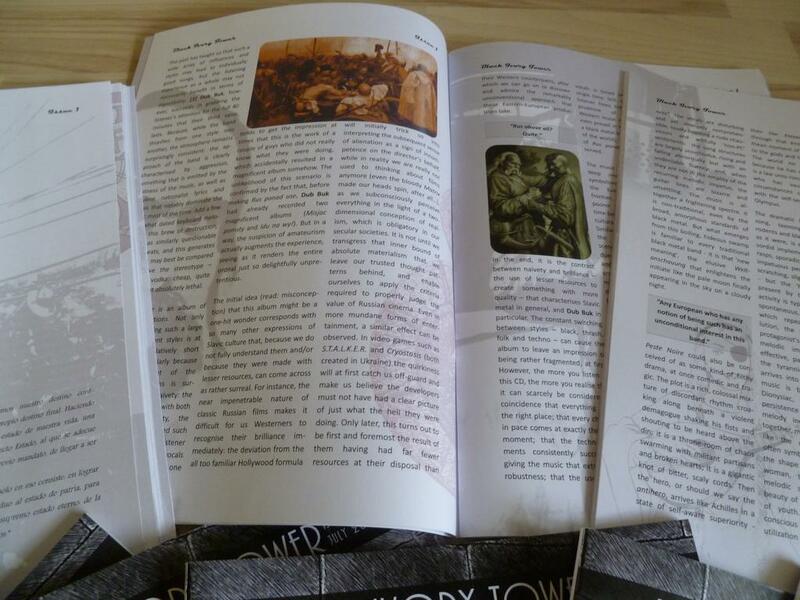 Finally, after many hours of hard work, the first physical edition of Black Ivory Tower is available. Subtitled Interbellum, this publication links the finest music of our time to the troubles associated with the era we live in. The magazine is printed professionally on A4, and contains 60 pages (including front and back covers) of high-quality material, complete with a carefully selected set of both colour and black-and-white pictures referencing history, nature and culture. Interbellum is limited to 100 hand-numbered copies. Please see this post for more information on the content of the magazine, as well as more pictures and several fragments of the exclusive content. If you would like to order, send an e-mail to blackivorytower[AT]gmail[DOT]com, including your address and the number of copies you would like to have. If you are interested in wholesale, let me know because the conditions vary per country. UPDATE: Due to a limited number of remaining copies, I can no longer respond to wholesale orders. Holland – €2,50 shipping costs. Payment methods: Paypal or Bank transfer. Rest of the world – Regular shipping costs are €5 as well, but for some countries I would recommend registered shipping, which amounts to €16. You know the reliability of your country’s mail system better than I do, so I leave it up to you which method you select. Mind that choosing regular shipping means you are taking the risk. Payment method: Paypal; direct bank transfer available for Ukraine. If you have any other questions or comments, contact me on the e-mail address mentioned above, or via our Facebook page. Got this in the mail last week and I still haven’t finished reading it. Odd thing is that my favourite reviews might be those of the non-metal records. That’s a good thing because one of the next issues might be folk/ambient only. 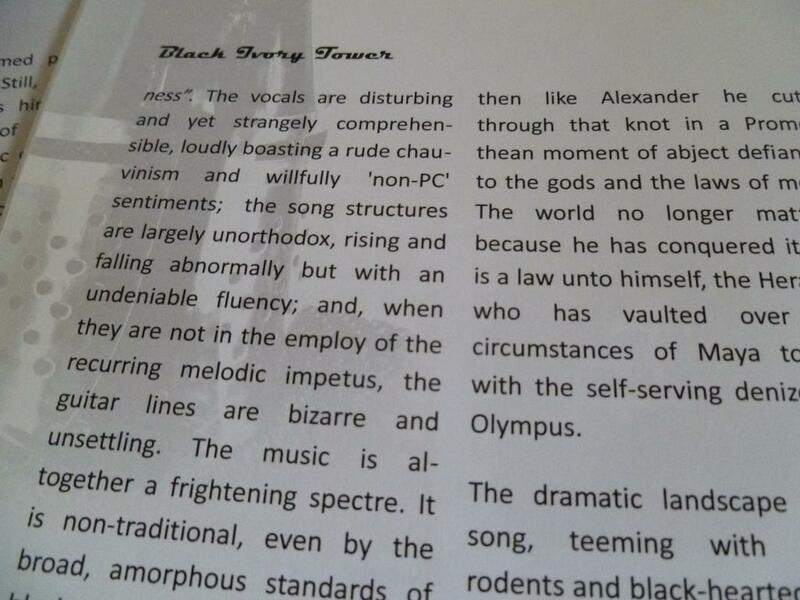 Didn’t say ‘neo’folk or ‘dark’ ambient though. 😉 Actual folk music (Scottish and Irish mostly) is what I grew up with. Now I’m exploring Eastern European folk music a bit more, mostly bands such as Stary Olsa and Horyn, which have little to no connection with any modern music scene. This might be interesting as I actually know more about this music technically than I do about metal/rock. I can hear if a bagpipe player is good or bad from a mile away.